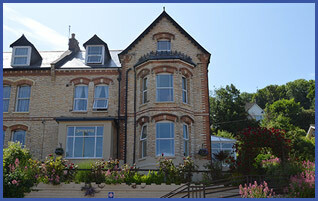 A beautiful welcoming guest house in a stunning location of North Devon. You will find the Dorchester Home from Home and Julienne and Peter look forward to meeting you. 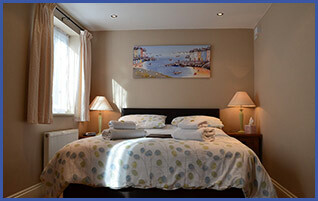 Come to The Dorchester Guest House for a Short Break, Relaxing Long Stay or Romantic weekend. 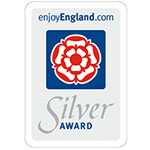 With 4 star silver accredited accommodation, prestigious Visit England Breakfast award and 5 star rated food hygiene, we can make your holiday a memorable one for all the right reasons. Our Bed & Breakfast accommodation is just a short drive from fantastic Surfing Beaches such as Woolacoombe, Croyde and Saunton. The beautiful surrounding countryside and coastal paths are perfect for Walking and Cycling Holidays. For the less energetic, a gentle stroll to the pretty harbour for a quiet drink or meal in one of the welcoming bars and restaurants. The Landmark Theatre and Tunnels Beaches are also a short walk away. 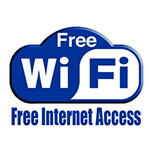 The Dorchester Guest House also offers you Free Parking (reservation recommended) and Free Wi-Fi. 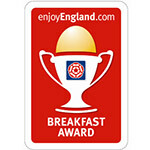 Award Winning Breakfasts are freshly prepared with locally sourced produce and special dietry requirements can be catered for. Please call in advance to discuss your needs. 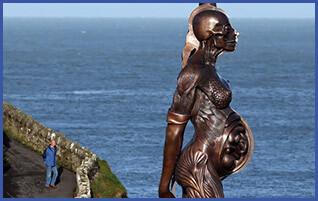 Come and visit the famous Verity by Damian Hirst. Verity stands at 20.25 metres (66.43 feet) tall, and weighs 25 tonnes. 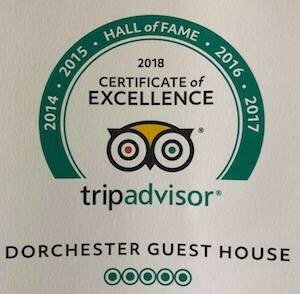 Find out about the Dorchester Guest House and what we have to offer for your stay to be as enjoyable as possible. 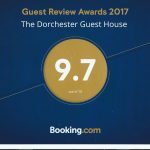 Let the Dorchester Fulfil your Dream Holiday in Devon!